Tork Xpressnap is the ideal napkin system for food service restaurants that seek operational efficiency. With a true one-at-a-time napkin dispensing feature, this system reduces napkin consumption by at least 25%, guaranteed*. 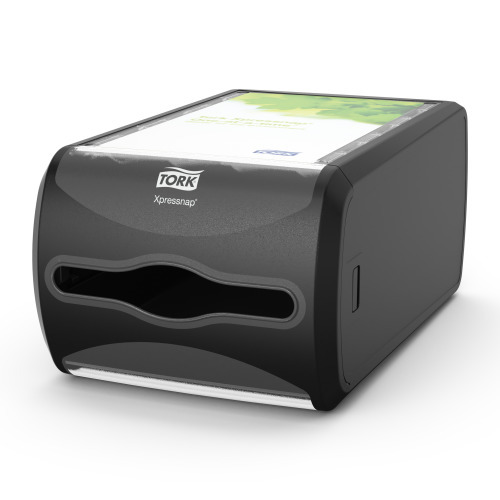 The Tork Xpressnap system is the number one napkin dispensing system in the world**. This system helps you reduce napkin consumption, promote your marketing messages, and minimize environmental impact, allowing you to focus on what’s most important to your business: providing an excellent guest experience. Click here to view the brochure. Research shows*** that customers are 30% more likely to take one napkin at a time using Tork Xpressnap than standard dispensers. By better controlling what’s dispensed, customers can get what they need while you can reduce waste and extra costs. 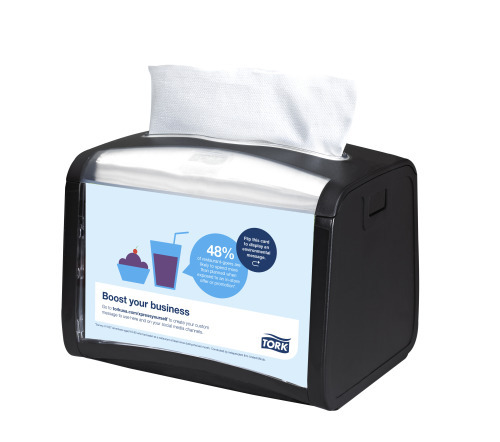 With Tork Xpressnap refills and dispensers, you can promote your message and achieve results. Tork Xpressnap AD-a-Glance® messages are noticed by over 80% of diners, and of those, 100% recalled the advertisement. Not only that, when asked, customers prefer 3 to 1 advertising on Tork Xpressnap dispenser rather than on table tents. Use our digital DIY marketing tool and learn how you can create and share your marketing message, both in store and on your social media channels. Tork Xpressnap napkin refills offer custom print. Choose up to four custom designs per case****and get your messages in front of your customers. With 75% of customers noticing the print on napkins, why not take advantage of this marketing opportunity? Guest expectations continue to evolve; now they are seeking establishments that support their commitment to sustainability. Tork Xpressnap can help you meet these expectations with controlled napkin dispensing and our wide range of 100% recycled or FSC certified virgin fiber refills. Create your own customized marketing messages now! Tork Xpressnap Signature Dispensers and Universal and Advance napkin refills are the ideal solution for casual environments that want to offer napkins in a self-serve format, while still reducing napkin consumption, improving hygiene and boosting operational efficiency. 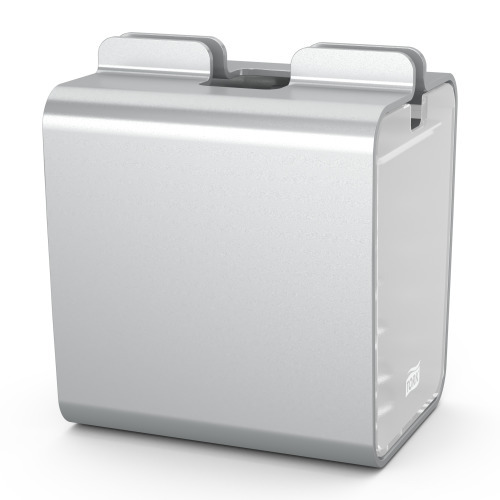 Dispensers are offered in five different models and trendy colors, making it easy to match any restaurant layout, traffic demand, and décor need. Tork Xpressnap Image Dispensers and Premium napkin refills are designed for establishments that seek to provide a memorable impression of quality for their guests, while still reducing napkin consumption. 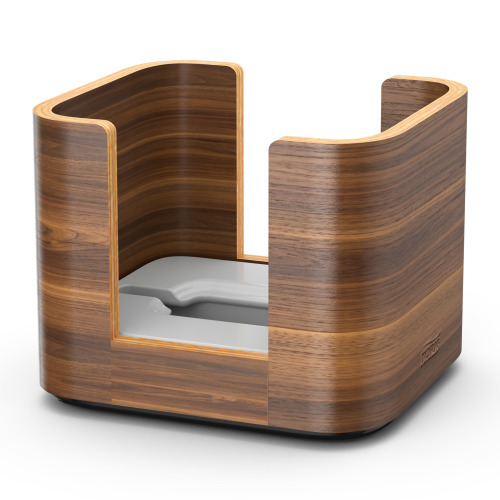 Specially crafted to be luxurious in both form and function, dispensers are offered in Aluminum and FSC-certified Walnut wood. Extra soft Premium refill napkins are embellished with a subtle leaf pattern. Tell us your preferred distributor and which Xpressnap product you are interested in, and we'll take care of the rest. *** The research was conducted July 15-18, 2017 by Decision Analyst, an independent market research firm. The research was conducted at 11 fast casual restaurants in Philadelphia and Dallas. 326 people were observed while taking napkins from the dispenser and using them, and 65 people were interviewed in-depth about their experience.